News > Who uses NASA Earthdata? Dr. Roisin Commane does! 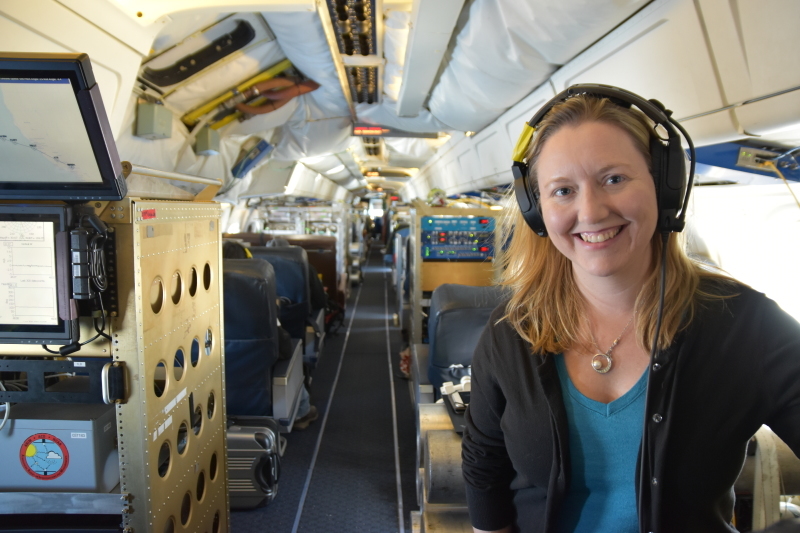 As part of the joint NASA/Harvard University Atmospheric Tomography Mission (ATom), Dr. Commane just completed her fourth series of global flights aboard NASA’s four-engine DC-8 research aircraft. Flying as high as 40,000 feet to skimming the surface at 500 feet, ATom uses 24 aircraft-mounted instruments to sample slices of the atmosphere and analyze the chemical composition of these slices. These data are used to study the impact of human-produced air pollution on greenhouse gasses and on chemically reactive gasses in the atmosphere, especially over remote ocean areas. Access data from the ATom Mission collected by Dr. Commane and her colleagues. More datasets will be added as they become available. To read more about Dr. Roisin Commane's work and her use of NASA Earth science data, see NASA Earthdata User Profile: Dr. Roisin Commane.